Hi there. Thank you for being here. I wanted to share some news with you that this past week, my first California hiking article was published by Moon Travel Guides. It's a compilation of my favorite hikes that Onur and I have explored along the coast since moving here five months ago: beach hikes, mountaintop views of the NorCal coastline, and hikes to see elephant seals. Elephant seals!! It's hard to pick a favorite, but if I had to, I would choose either Garrapata State Park or the Monterey Bay Coastal Trail. When Onur and I were driving down the Big Sur Coast Highway, Garrapata took our breath away with its mountain-meets-sea, Hawaii-style vibe, plein air painters and all. 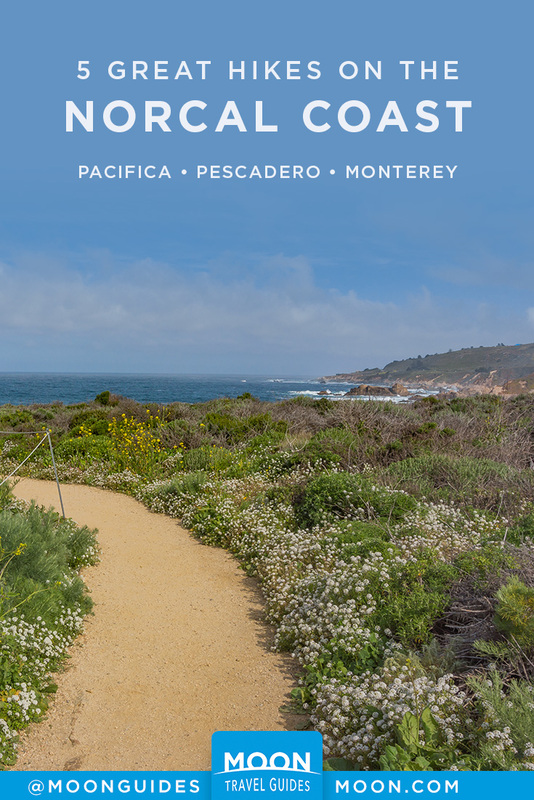 What I loved about the Monterey Bay Coastal Trail was the day trip aspect of it: There was something special and sentimental about discovering it together so early on in our time in California. We munched on simit at Feride's, coasted in the town mid-morning, and treated ourselves to a leisurely walking tour of the city courtesy of the Monterey Bay Visitor Center. We watched boats and paddleboarders from an overlook in Cannery Row, and sipped tiny paper cup samples of rosemary olive oil from a specialty store. Signposts and schedules marked the Monterey Trolley pick-up points, making it easy for us to hop on when we were ready to head back to town. To see the article, click the Moon Travel Guides graphic, or follow the link here. Stay tuned for another article I'll have coming out with Moon Travel Guides in July about training for long treks. I talk about why I love "goal hikes" like Mount St. Helens, and the framework (mental and physical) I use to prepare for a tough hike.